“I have been on the scene of a recent shooting investigation on the 900 block of Shepherd St NW. 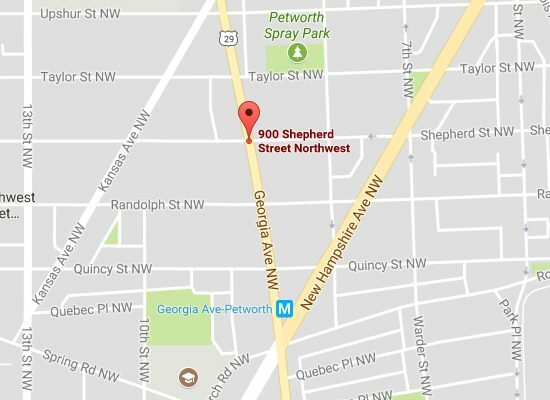 Currently the 900 block of Shepherd St NW is closed in both directions. “On Sunday, November 5th, around 6:10 PM officers responded to the sounds of gunshots in the 900 block of Shepherd Street, NW. They found an adult male suffering from gun shot wounds. The victim of the shooting did not survive his injuries. “Detectives from the Metropolitan Police Department’s Homicide Branch are investigating a homicide that occurred in the 900 block of Shepherd Street, Northwest, on Sunday, November 5, 2017. At approximately 6:10 pm, members of the Fourth District responded to the listed location for the report of a shooting. Upon arrival, officers located an unconscious and unresponsive adult male suffering from multiple gunshot wounds. DC Fire and Emergency Medical Services responded to the scene and determined there were no signs consistent with life. The decedent remained on the scene until transported to the Office of the Chief Medical Examiner. The decedent has been identified as 35 year-old Juan Nelson Roberts.